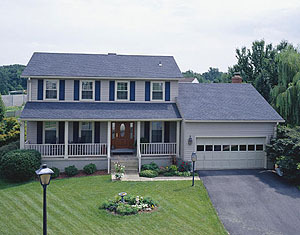 Siding repairs are only occasionally required, especially when the siding for your Washington, D.C. area home was installed by the experts at Shiner Roofing, Siding and Windows. Every now and then, though, even the most durable and well-made siding can suffer damage. Just as Shiner is the contractor of choice in Northern Virginia and Maryland for siding installation, we also hope you’ll keep us in mind for those rare occasions when siding repairs become necessary. Shiner is a family-owned and ­operated home improvement contractor that has served the Washington, D.C. region since 1981. We are licensed, bonded, and insured in the states of Virginia and Maryland and the District of Columbia. Contact us today if your home requires siding repairs, or if you would like to learn more about our other home improvement services. We are available for emergency repairs, so call 24 hours a day, seven days a week and we’ll schedule a repair crew for your home right away.